A supermarket has renamed a white fish caught in UK waters with a French name, Colin, because shoppers are not buying it under its British identity. Sainsbury's is trying to push sales of pollack as a more sustainable alternative to cod, but says shoppers are not buying it. 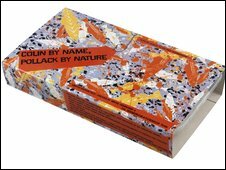 Some stores will now stock it in new packaging designed by Wayne Hemingway, and inspired by artist Jackson Pollock. And it will be called "Colin" - the French word for hake. Pollack is far more popular in France, which is one of the biggest customers for UK fish, than it is here. Sainbury's says sales of cod increase by nearly a third during Easter weekend. In March, cod outstripped sales of pollack by 52,904 to 3,947. But haddock was even more popular than cod, with 98,722 units sold. Alison Austin, environment manager at Sainsbury's, says if British consumers bought more pollack it could make a big difference to cod stocks. "There are other species to eat other than cod and haddock, which are just as tasty, and often cheaper. Many people have said they even can't tell the difference in taste between cod or pollack." The move has been welcomed by the Marine Conservation Society which rates the sustainability of fish species in its Good Fish Guide. Fisheries policy officer, Melissa Pritchard, said: "If it encourages consumers to try pollack then it can only be a good thing, as long as it is sustainably sourced." The seafood industry body, Seafish, has expressed doubt about the initiative. 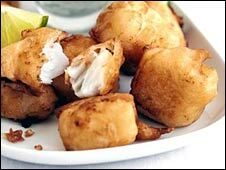 It says consumers can continue to eat cod with confidence, adding that 92% of the cod eaten in the UK is imported from sustainable stocks, much of it from Iceland. Seafish market analyst Lorna Jack is also unsure whether the name change will work. "Less attractive names may deter consumers from purchasing fish, however, we will be interested to see if this change of name increases sales of pollack since 'Colin' is perhaps not the easiest replacement name," she said. Despite Sainsbury's suggestion that consumers should enjoy 'Colin and chips' at home this Friday, it seems unlikely to become a chip shop staple. The National Federation of Fish Friers (NFFF) expects cod to remain the most popular choice for its members and the public. Bill Crook, the NFFF general secretary, said most fish and chip shops use sustainable Icelandic cod which is frozen at sea. With more Icelandic fishing boats marketing their cod in the UK to escape the financial crisis at home, supplies of cheap cod are plentiful, he added.